Reducing The Cost Of Your Holiday Is Not An Urban Legend! Travelling is becoming an increasingly expensive activity, especially given the fact that the cost of fuel and other similar commodities is going up. For the average tourist, this means that one has to try to find ways of reducing the cost of travelling in order to avoid having to spend too much money on the same. The greater majority of institutions such as hotels will give you a discount if you book for them early. You can take advantage of this to reduce the chances of having to pay too much for things such as accommodation and travel. Of course, this means that you have to be very sure about when you are travelling so that you do not end up paying for such services and then finding out that you cannot use them after all. If you are going to visit a new area where your friends and family members are, you can also try to stay with them. This is usually much cheaper than staying in a hotel, and is sometimes more comfortable as well. Of course, you need to conform to the social norms when you decide to do this. For instance, you should try to find out if they can accommodate you in advance; simply showing up is normally not in good taste. It may also be a good idea to give information about details such as how long you are going to stay, and how many there are in your party. This will make it much easier for the other family to know what to expect. The ultimate way to save when travelling is by making sure that you compare the rates provided by different service providers, and then picking the cheapest. For instance, if you are looking for a car you can hire, you need to go through listings to find out which companies can provide such a service, and then pick the one that seems to be most affordable. Granted, this is a process that takes time, even if you are doing it online. However, there are many times when you will come across deals so good that having to go through such motions will be well worth it. It is best to do such comparison early, so that you have the time to compare the pros and cons of each so that you can choose the best. 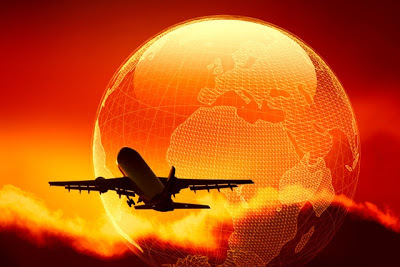 When you are going to visit a new country and are trying to find ways of saving on the cost of the trip, it is normally a good idea to try to find someone who has been there before and then asking them for details on how you can do this. For instance, you can talk to a few friends or family members who have been there before, and they will give you tips on what to do. You could also decide to visit tourism forums online and then pose questions about what you need to know. This is a good way of getting such information since you will be getting it from a large number of people who have a lot of experience. There are many loyalty programs that you can use to reduce the cost of touring a particular area. For instance, if you have a frequent flyer card that has many miles on it, you can redeem them for an extra ticket and thus save yourself the cost of getting one. Some credit companies will also give you discounts when you use it to pay for different kinds of goods and services, such as hotel accommodation. If yours has this facility, you can use it in this manner to reduce the cost of getting the service. These are just a few of the ways in which anyone can reduce the cost of visiting a new country. There are many more that you can take advantage of, but the above are particularly potent. Ryan James is a travel blogger and loves to visit different places. He also shares his experiences of stay in villas. View more Lanzorate villas for rent to have a wonderful travel stay.